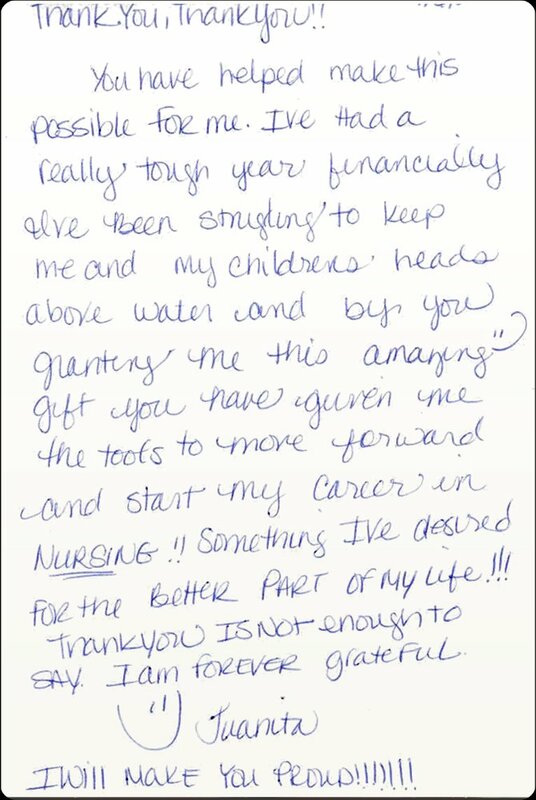 This is a note that came to us earlier this week. Juanita received assistance from the Tarrant Literacy Coalition to take the GED exam. When you contribute to the Coalition, you help us open the door to opportunity for students just like Juanita - all over our community. Today is North Texas Giving Day, and every contribution we receive today will be multiplied through matching funds from the Communities Foundation of Texas.